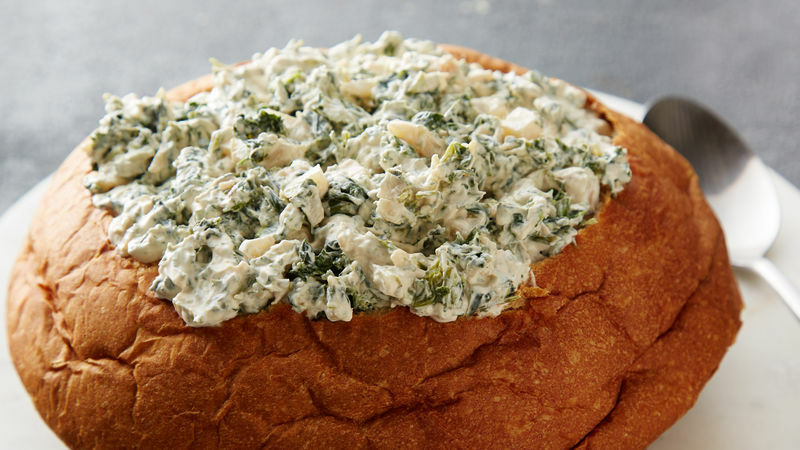 Because the only thing better than spinach dip is spinach dip in an edible bowl. We don’t know who first invented spinach dip, but man are we glad they did. Ditto with whoever invented the bread bowl. We love dip. We love bread. It’s a match made in appetizer heaven and it’s just that simple. Serve in a loaf of sourdough for a classic pairing, or go with a loaf of Hawaiian bread for a sweeter flavor. But no matter what bread you serve this in, you won’t have a crumb left over.